"Atlantic View'" by Carol Ann Curran, Fine Art Print, Single White Mat 11" x 14", Image size 8" x 10" OR Matted to 16" x 20", Image Size 11" x 14" This is a Limited Edition, Signed, and Numbered print. 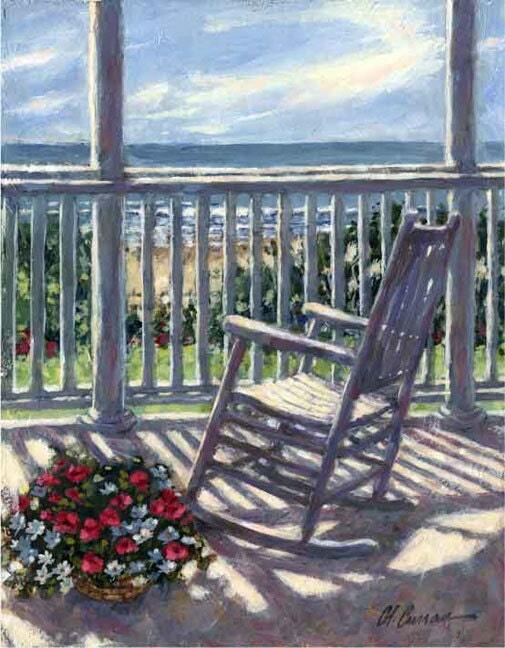 The painting depicts the view from a beach house on Isle of Palms , South Carolina. This print is reproduced from an original oil on canvas.